1. The baseballs are clearly more clutch than they used to be. 2. The trees that the bats are made out of were on growth hormones. 3. This is the first time a World Series has featured the pitching stylings of Postseason Clayton Kershaw. 4. The baseballs want to get as far away as possible from Marlins Man. *Note: This one only counts if you consider home runs to be bad. 6. 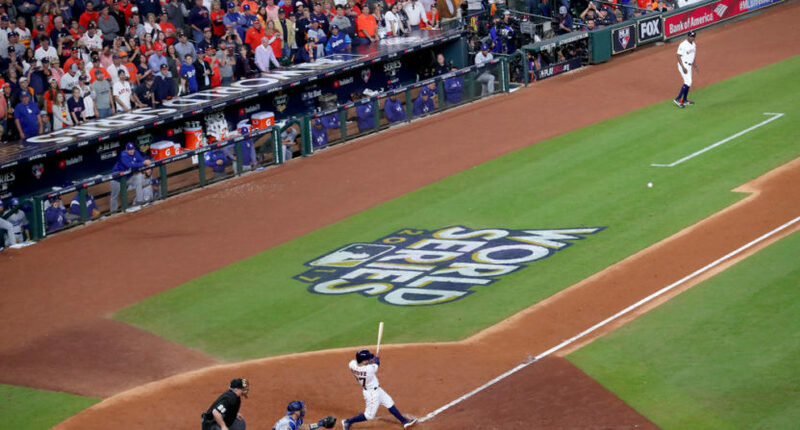 MLB juiced the baseball so there would be more home runs so the games would take 5 hours and cause half the audience to go to bed before they’re over, killing late-inning TV ratings. Granted, as conspiracies go, it wasn’t entirely thought through. 7. The players don’t want anyone to be on base so there are no stolen bases and America doesn’t get free tacos. Friggin’ jerks. 8. Chicks dig the long ball … or at least they do for a few seconds until some tool two seats over rips the ball out of their hands and throws it onto the field. 9. Just too many pitches being left up in the zone. 10. Playing the World Series at the neutral site of the Little League World Series field in Williamsport, PA, had unforeseen consequences. SportsPickle is the premier site on the Internet for sports news and takes.